From a video posted to Twitter showing Abdelhamid Abaaoud smiling and driving a pickup truck dragging ISIS victims. 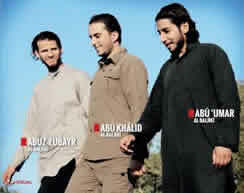 Abdelhamid Abaaoud, aka Abu Omar the Belgian (right), with two other terrorist operatives sent by ISIS for a terrorist mission in Belgium (Dabiq, Issue #7, February 2015). The two were killed in a Belgian security force raid. Abdelhamid Abaaoud, aka Abu Umar the Belgian, on the first page of an article published in Dabiq, ISIS's English-language magazine (No. 7, February 2015). Interviewed for the article Abdelhamid Abaaoud said ISIS sent him with two other operatives on a terrorist mission in Belgium. The squad was exposed by the Belgian security forces, but he escaped to Syria. A short time later he was sent to Europe by ISIS and headed the network that carried out the terrorist attack in Paris. 1. 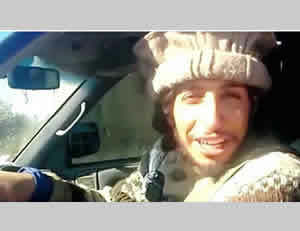 Abdelhamid Abaaoud (Abu Oud) was a terrorist operative of Belgian origin who headed the network that carried out the terrorist attack in Paris. After the attack he was pursued by the French security forces. On November 18, 2015, French police raided a building in the suburb of St. Denis, north of Paris, where Abaaoud was supposed to be hiding. A squad of terrorists was in the building and engaged in a firefight with the French police, during which a female terrorist was killed. The French authorities reported that a body found at the scene was Abdelhamid Abaaoud. Another belonged to afemale who was his cousin. 2. The mass-killing terrorist attack in Paris, carried out with the involvement of European ISIS operatives, is a clear illustration of the threat presented to Western Europe by ISIS foreign fighters who return to their countries of origin. The terrorist attack in Paris indicated that ISIS has identified their potential, and has begun sending them to the West to establish terrorist networks and to carry out terrorist attacks (one of the terrorists in the Paris attack was a suicide bomber who was sent from Syria in of October 2015, hiding as a refugee to join the jihadist network previously established by Abdelhamid Abaaoud). Dabiq's interview with Abaaoud demonstrated a great deal of self-confidence and daring, probably based on ISIS's assumption that the preventive measures taken by Western European countries were not effective. 3. Abdelhamid Abaaoud (Aba Oud) is 27, and a Belgian national of Moroccan descent. He grew up in the Molenbeek municipality of Brussels, a well-known jihadist center in Belgium. The terrorist attack in Paris exposed Molenbeek as its logistic operational base and at least two of the terrorists who carried out the attack came from there. 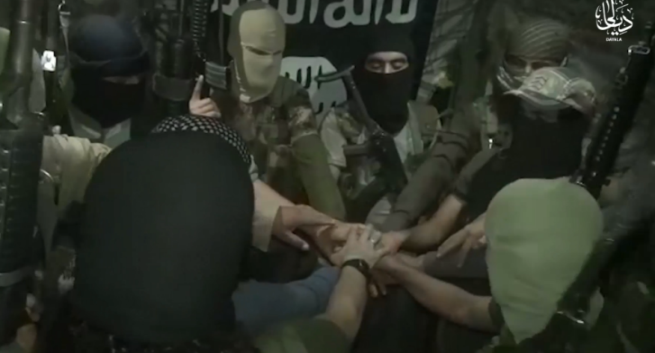 Many Belgian foreign fighters have gone to Syria from Molenbeek to fight in the ranks of ISIS. 4. Abdelhamid Abaaoud comes from a family of Moroccan immigrants. His father went to Belgium looking for work more than 40 years ago. He ran a store and bought a pleasant house for his family (wife and six children) in one of the better neighborhoods in the poor neighborhood of Molenbeek. According to the British media, the family was not religiously observant. According to Abdelhamid Abaaoud's sister Yasmina, he did not show an interest in religion or go to a mosque. 5. Neighbors remember him as "a fine young boy who made his parents proud." As a teenager, however, he loitered in the streets with troublesome youths and committed petty crimes (stealing from stores and selling stolen goods). He went to a prestigious high school in Brussels but was expelled after a year because he stole wallets from other students and bullied his classmates and teachers. He went to pubs and nightclubs with friends he later recruited for the terrorist attack in Paris (Ibrahim and Salah Abdelsalam). Five years ago he and Salah Abdelsalam carried out an armed robbery, for which they were sent to prison. (The Guardian, November 18, 2015; Mail Online, November 19, 2015). 6. Apparently in prison he underwent Islamic religious radicalization, a phenomenon known from other European jihadists. As a result he became one of the hundreds of Belgian operatives who went to Syria to join the ranks of ISIS. He arrived in Syria in January 2014 with his 13 year-old brother Yunes (for which he was accused of for kidnapping, after his father Omar Abaaoud, lodged a formal complaint with the Belgian police). 7. Apparently, at the beginning of his career in ISIS, Abdelhamid Abaaoud dealt with "routine" combat and logistic missions. During his stay in Syria he was photographed smiling from ear to ear while driving a pickup truck dragging the bodies of people murdered by ISIS (Daily Mail, November 18, 2015). 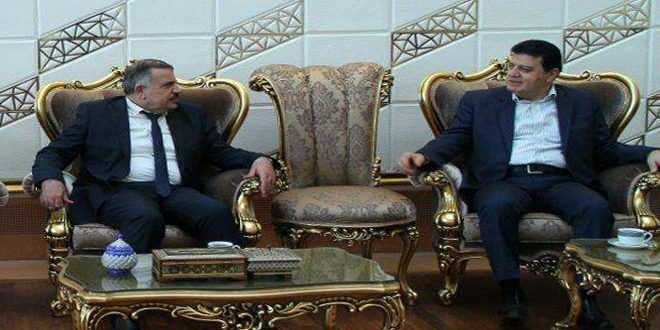 According to a Syrian human rights organization, while in Syria he was made commander of the region of Deir al-Zor (All4syria, August 14, 2015). He also reportedly recruited Belgian operatives for ISIS, for which he was sentenced in absentia to twenty years in prison. 8. Somewhat later, apparently at the end of 2014, ISIS decided to use the advantages of Abaaoud as a Belgian national with the ability to move relatively freely and operate in Western Europe. Therefore, ISIS sent him back to Belgium to set up a terrorist infrastructure and carry out attacks. Beforehand, ISIS falsely claimed he had been killed in battle to keep him from being exposed once in Belgium. He said in an interview (See below) that he went to Belgium accompanied by two other Belgian operatives. The three organized a safe house where they stored weapons and explosives. However, in January 2015 the Belgian security forces exposed the squad and killed two of the operatives who came to Belgium with Abaaoud. Abdelhamid Abaaoud, who was not in the safe house at the time, escaped and returned to Syria. Upper left: Abdelhamid Abaaoud in battle dress. Lower left: Younes Abaaoud, Abdelhamid's 13 year-old brother, photographed in Syria. 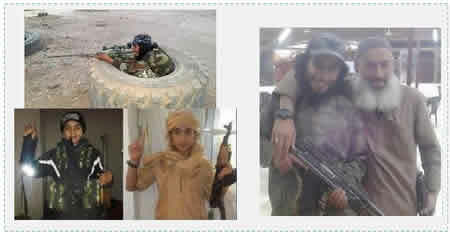 Right: Abdelhamid Abaaoud and another ISIS operative (Al-Arabiya, November 16, 2015). 9. In February 2015 Dabiq, ISIS's English-language magazine, published an interview with Abdelhamid Abaaoud. Its objective was probably to encourage European operatives to return to their native countries for terrorist missions. The interview glorified the "epic escape" of Abdelhamid Abaaoud from Belgium, emphasizing his success in evading the security forces pursuing him. 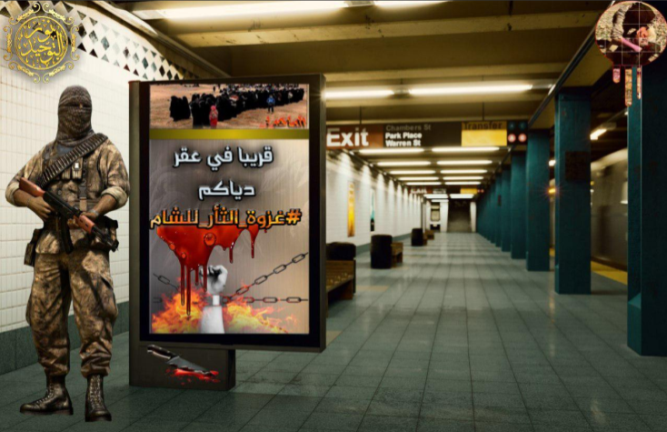 The interview indicated a considerable amount of self confidence and daring on the part of ISIS, which did not hesitate to publish pictures of Abaaoud, andto send him on a new operational mission to Belgium and France a short time later (most likely around March 2015). 10. A short time after he returned to Syria (probably a matter of weeks) he was sent back to Europe again (most likely to Belgium). That mission culminated in the attack in Paris and Abaaoud's death in St. Denis. (The French and British media have called him the brains behind the Paris attack). In Paris his childhood friends from Molenbeek, the Abdelsalam brothers, were integrated into the attack. He also recruited a female cousin. According to the French minister of the interior, before the Paris attack he was involved in four other terrorist attacks. One targeted a church in Villejuif, in the southern part of Paris (April 2015) and was prevented. The other targeted the TGV between Paris and Amsterdam (August 2015). 1) His arrival in Belgium from Syria: He said he arrived in Belgium with two other operatives, and that their names were "all over the news." [They were Abu Khalid the Belgian (aka Sufyan) and Abuz-Zubayr the Belgian (aka Khalid).] "We faced a number of trials during the journey. We spent months trying to find a way into Europe, and…we succeeded in finally making our way to Belgium…" Apparently the three went overland to Belgium from Syria, going through Turkey and other European countries. 2) ISIS's objective in sending them: Abdelhamid Abaaoud does not specifically state why ISIS sent them to Belgium, probability in order not to expose their plans. Allah chose him, he said, "to travel to Europe in order to terrorize the crusaders waging war against the Muslims. As you know, Belgium is a member of the crusader coalition attacking the Muslims of Iraq and Sham [i.e., Syria]…" The mission of the squad wasto establish a terrorist network in Belgium to carry out attacks both there and in France, and possibly other European countries. That is clearly indicated by the explosives and weapons found in the safe house (See below). 3) The Belgian raid on the safe house: Abdelhamid Abaaoud said they "were then able to obtain weapons and set up a safe house while we planned to carry out operations against the crusaders." He does not say where it was located. Regarding the raid, he said "Abuz-Zubayr and Abu Khalid were together in the safe house and had their weapons and explosives ready. The kuffar [infidels] raided the place with more than 150 soldiers from both French and Belgian special forces units. After a gun battle that lasted about 10 minutes, both brothers were blessed with shahadah [death as a martyr for the sake of Allah], which is what they had desired…" Abdelhamid Abaaoud, who was not in the safe house at the time, escaped and returned to Syria. 4) Escape from Belgium to Syria: Abdelhamid Abaaoud boasted he "was able to leave [Belgium] and come to Sham [Syria] despite being chased after by so many intelligence agencies…My name and picture were all over the news yet I was able to stay in their homeland, plan operations against them, and leave safely when doing so became necessary…" In ITIC assessment, the interview with Abaaoud was meant to encourage European operatives to return to their countries of origin, since it stresses the ineffectiveness of the European security forces. 12. 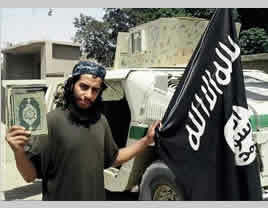 The raid by the Belgian security forces after which Abdelhamid Abaaoud returned to Syria was apparently conducted in January 2015 in the Belgian city of Verviers, near Brussels. The Belgian security forces exposed a squad of ISIS operatives planning to carry out a terrorist attack, apparently directed against a police station. The operatives had obtained police uniforms, four Kalashnikov assault rifles and explosives. 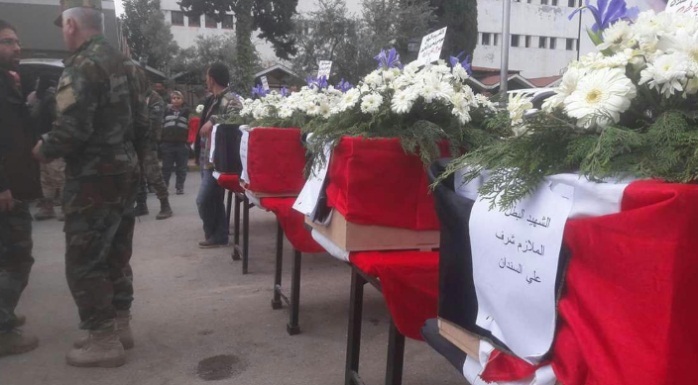 Two of them (operatives who came with Abaaoud) were killed in a firefight with the security forces. The media later reported that the two had returned to Belgium a short time previously after having fought in the ranks of ISIS in Syria (Daily Mail, January 16, 2015). Abdelhamid Abaaoud was one of 32 operatives tried for directing a large recruitment network for sending fighters to Syria. They were tried in a Belgian court, most of them in absentia. During a TGV train trip between Paris and Amsterdam, a man emerged from the bathroom on the train armed with a Kalashnikov assault rifle and knife. He opened fire on the passengers. Three were wounded. Train passengers overcame and neutralized him, preventing further carnage. Two of the passengers who overcame him were American nationals. The terrorist was identified as Ayoub al-Khazani, 26, of Moroccan descent, who had lived in Spain. At the time the Spanish media reported al-Khazani was known to the French, Belgian and Spanish security forces as belonging to extremist Islamist movements. He went to Syria in 2014 where he apparently served in the ranks of ISIS (ITIC emphasis) (Telegraph, August 22, 2015).